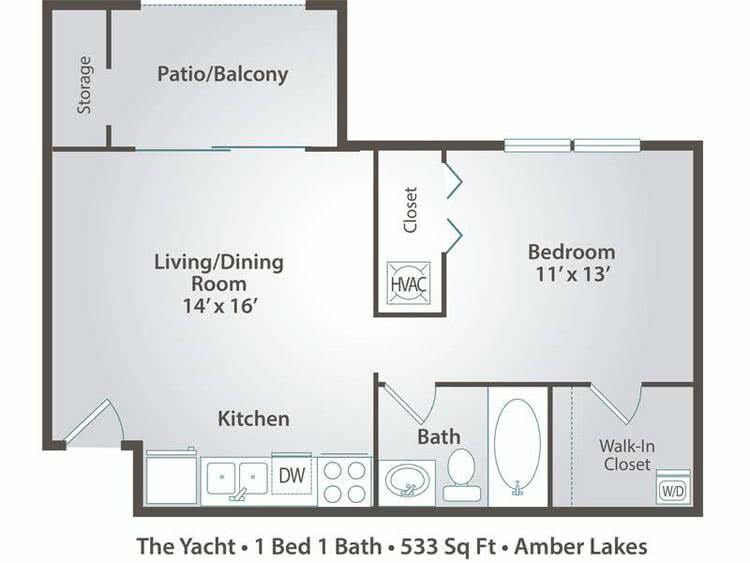 The Yacht is the perfect alternative to the studio featuring an open concept living area, fully equipped kitchen with microwave and additional outdoor storage, but offering a separate bedroom space with a walk-in closet and full size stackable washer/dryer set. 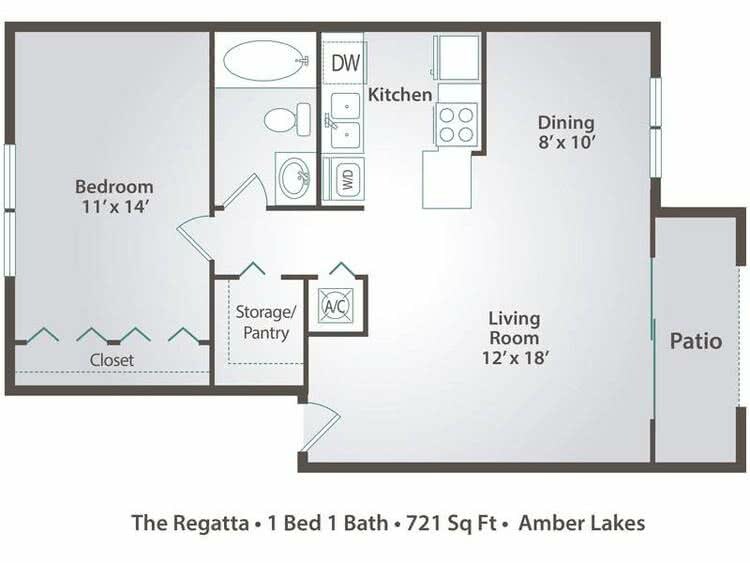 The Regatta offers the greatest square footage of our one bedroom options. This home boasts separate living, dining and kitchen areas. The gourmet kitchen features newly installed modern cabinets with granite style countertops and includes a microwave and a full size stackable Washer/Dryer set. The home has a spacious master bedroom with ample closet space.